Emergency Medical Technician (EMT) is for individuals who anticipate working with an ambulance service, a hospital emergency department, fire department, police department, mining operation, or in other occupational fields where medical emergencies are common. Course content includes: the well-being and legal standpoint of being an EMT, an overview of anatomy and physiology, medical terminology, patient assessment, basic life support in relation to cardiac arrest, trauma, and other medical emergencies, pediatric and OBGYN, ambulance operations, and weapons of mass destruction. 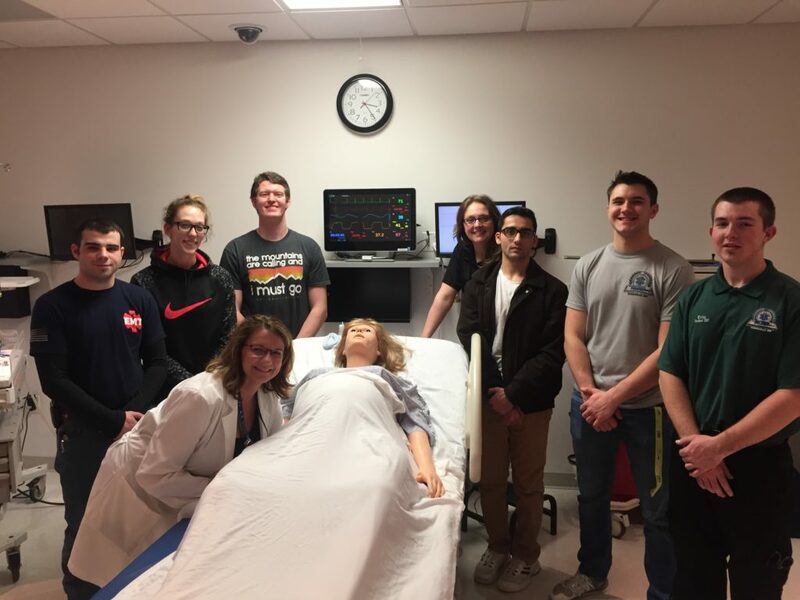 The student is responsible for an additional 48 hours of clinical rotation in the local emergency departments and 48 hours of a ride along with an advanced life support ambulance or the fire department. Potential Employers include: fire departments, ambulance companies, private companies, mines, security and reserve teams. To apply for the EMT program please complete the ACADemy EMT Application & Enrollment Packet and submit as instructed within the packet.